Hima and Tutsi clan 50 year Master Conspiracy Plan. The meeting started with a prayer led by Rt. Rev. Bishop Ruhindi at exactly 11.00p.m. who prayed for good deliberations. The Chairman, H.E. welcomed the Basita Clan and other clans present in his home. He briefed members present the purpose of the meeting and thanked organizers for a good job done. He told members that the only opportunity they have is this one when he is still President. He directed Hope Kivengyere to act as a link between his office and these people at grass roots. He told them that they were few in number and that he fought to liberate them so that they could be heard in society and Uganda at large. He reminded them of the need to have a master plan for at least fifty years if the Hima clan is to remain vibrant and rich. H.E. told his listeners that if they cannot use the opportunity maximally, their daughters and sons would blame them in future. At this function he revealed to them a scheme and plan of action in order for them to achieve their desired goals as: To have the highest education qualifications during his term of office for their children. To make sure they are the richest people in Uganda with the 50 years master plan. To make sure they control the army and have the highest ranks in the army. To ensure that they take charge of all the resources in the country. To ensure none of those not concerned, not to know about the action plan. Every one of them was directed to recruit the Bahima boys to join the army so that they could dominate the ISO, PPU, ESO and Military Police as this would assist in the resisting of other tribes that would attempt to take power by the use of force. The chairman informed the members to unite so that they could remain the only kings in the region. He said that the master plan couldn’t be achieved unless 80% of their youths are properly trained and equipped with the best necessities to maintain these issues. At this juncture the chairman directed Mr. Elly Karuhanga to take charge of educating the sons and daughters and send them abroad in countries such as India, England, America and South Africa. Karuhanga accepted the responsibility without hesitation. The chairman also directed Mr. Kirimani to take charge of educating the daughters and sons internally, especially to ensure that he put up special school in Nyabushozi to cater for the interests of the group, On this note Mr. Kutesa suggested to upgrade Bunyanyeru Resettlement School from Nursery up to Secondary, which was passed with no arguments. Mr. Elly Rwakakoko interjected the chairman’s speech by giving directions to members on the real discussion by introducing a new chapter of how H.E. could be succeeded after his term of office. On this point Mrs. Jovia Salim Saleh begged the members to ensure that after H.E. the next president must come from the Basita clan. She said that she had done a lot for the Basita and taken a lot of risks for the last 20 years and therefore it was important that the Basita take charge of the resources of the country. The members resolved that she was not in order. Mzee Ephrann Rusimira suggested that the new president should be the brother to the president if the master plan is to succeed. He warned that if the Bairu and non Bahima clans got to know about the action plan, it would fail to take off. Mzee Rutamwebwa suggested that Salim Saleh should go back to school if the objectives of the action are to be achieved. He suggested that Salim Saleh had to get a quote O Level Certificate and « A »Level Certificate. This was unanimously agreed to. He also suggested that someone close, possibly the son of H.E. should be groomed to take over the reigns from Salim Saleh. This too was agreed on and the group begged H.E. to look around for a boy who would be groomed.The group also brainstormed about how to destroy those who would gang up to take power from the clan. Death was suggested for the potential leaders who would attempt to fail the master plan. i. Overtaxing individuals and companies, which don’t belong to our people and protect those of our people. ii. Destroying co-operative societies and unions. iii. Selling Parastatals and public enterprises that others don’t gain from them. iv. Commercialize education and health services. b) Our people to be employed in lucrative public offices from which they should reap maximally while being protected from prosecution. c) Destruction of the economic, military and political will of Northern and Eastern Uganda. d) Immediate return of non-political Kabaka of Buganda while we promote disunity among the Buganda. e) Uniting all Bahima in the Great Lakes Region and awakening their political, military and economic process. f) Participating in the exploitation of economic resources of rich neighboring states. g) Making strategic alliances with whatever power in the world that will enhance achievement of this plan. Members recommended that all those given responsibility must ensure the achievement of the objectives. H.E. was mandated to appoint committees or individuals to implement the different aspects of the master plan. Confidentiality must be ensured at all costs. 76. Maama Rubindi, North Kigezi Diocese. As Museveni prepares to address the UN General Assembly in New York, let me synthesize for public information and necessary action what has been written and said about Museveni since the 1960s when he entered Uganda politics while at Ntare School in then Ankole kingdom. His political footsteps in Uganda and beyond have been traced since then to the present day. His early association with Tutsi refugees from Rwanda raised eyebrows and initiated a search about his place of birth. As a prefect at Ntare School, I knew Museveni fairly well. Up to now nobody knows where Museveni was born or his clan. He has been described as Tutsi, Hima or Hororo (Muhororo). Increasingly and in part because of the way he is treating or neglecting native Ugandans many believe he was born in Rwanda. Museveni’s intentions and preferences began to show after Amin captured power in 1971. He like other young men and women wanted to oust Amin from power by military means. Some of us volunteered to join with him in this noble effort for our country but he sidelined us from carrying the gun, a preserve, we later learned, for Tutsi people. He focused on recruiting from Tutsi refuge camps in Uganda. He had obtained information about their locations in Uganda when he worked in President Obote’s office as an assistant in charge of refugees. Stories circulated that he was not a Ugandan citizen and couldn’t qualify for Makerere education. They explained that he came from Rwanda with his mother and they lived in various places including in present day Ntungamo and Mbarara districts. His education at Dar also became problematic. Up to today no one knows what he studied and graduated in. In 1991 he reported in an interview that he studied political economy (Africa Forum 1991). Apparently there was no such a subject taught at Dar at that time. Ipso facto his country of birth and university education have cast a thick shadow around him made thicker by the fact that according to the 1995 Uganda constitution the president must be qualified to become a member of parliament inter alia with a minimum formal education of Advanced Level standard or its equivalent (high school diploma). Ugandans have therefore wanted someone with a clean record on country of birth and at least a university degree. People believe that it is for this reason, inter alia, that Museveni relies on foreign experts particularly in economic matters. Economists are few in his administration. At home and in Uganda missions abroad, Museveni has relied more on human and animal doctors and lawyers. When he launched the guerrilla war in 1981, his reason was that he wanted to restore the Catholic-dominated Democratic Party (DP) that in his view won the 1980 elections. Yusufu Lule a Muganda and DP supporter became chairman of the National Resistance Movement (NRM) with Museveni as vice chairman. Lule passed on a year before Museveni and his guerrilla fighters captured power. Attempts to elect a new chairman were thwarted by Museveni then acting chairman. Baganda and Catholics believe he became president by default and then promised he would step down shortly thereafter so a Catholic and/or a Muganda would succeed him. That didn’t and hasn’t happened. Museveni knows how unhappy these two groups are and he is not yielding but suppressing them instead. In fact Obote I government had more Catholics in top positions including ministers than Museveni has appointed. Obote I government also had two Muslim full cabinet ministers. Museveni had wanted to contest the 1980 elections as leader of DP but was not allowed by DP supporters and other leaders especially in Ankole who knew that he was a foreigner and Protestant. Late in the game, Museveni co-founded the Uganda Patriotic Movement (UPM) but other members didn’t want him to lead in part because of his questionable nationality and doubts about his education. Ankole politics of Bahima/Bairu also played a part (A.M. Kirunda-Kivejinja 1995). He finally made it as leader of UPM but he didn’t forget how he was treated by native Ugandans especially those where Tutsi/Hima and Bairu rivalries are still strong. For example, no one from Bairu of Rujumbura/ Rukungiri district has held a high profile post in Museveni government yet the best educated and experienced come from this group. He contested a parliamentary seat in Mbarara part of former Ankole kingdom but lost to a DP candidate, Sam Kutesa who is now minister of foreign affairs. Museveni didn’t forget that and it is believed that when the kingdoms were restored Ankole was denied it’s kingdom. When he lost the election and his arch-rival Obote won, Museveni resolved to get him out by military means. He tried to use Ankole as his base but apparently was refused. Baganda who were eager to get rid of Obote offered him the Luwero Triangle as his base of military operations. Baganda and Catholics joined him but Museveni relied on his Tutsi commanders which created a sectarian problem. As fighting progressed Baganda were unhappy because of the atrocities committed against them and began to withdraw support from him. “Some Baganda turned against the refugees because of the terror tactics that the NRA employed to recruit the Baganda into its ranks and to eliminate opposition to its presence in the Luwero Triangle”(Howard Adelman and Astri Suhrke 2000). He was saved by the support he got from some Baganda leaders who it is reported called on their subjects to support Museveni over other military leaders. Museveni didn’t forget how Baganda mistreated him and Tutsi refugees. He has since then it is believed deliberately scattered them throughout the world. Their land has been grabbed and is now being used by foreigners from neighboring countries and beyond. When he captured power in 1986, Museveni appointed Baganda and Catholics to high profile positions but progressively he has marginalized them considerably. The vice president from Buganda has very limited power if at all. 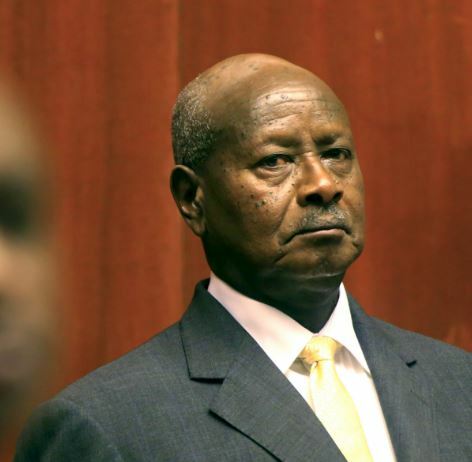 Baganda generals and other senior military officers who were regarded as potential opponents of Museveni have been eliminated (Howard Adelman and Astri Suhrke 2000). During the guerrilla war Museveni worked with the Okello group in the national army on the understanding that once Obote is gone, Museveni would serve in the new government under the presidency of Okello. Instead Museveni ousted Okello and became president. Okello supporters expressed disappointment. “We paved the way for the NRA by overthrowing Obote”, several Acholi explained, ” and Museveni paid us back by betraying us”(Robert Gersony 1997). And Museveni apparently fearing that Acholi and other northern and eastern soldiers might settle scores, he preempted that possibility by waging a war that lasted over twenty years with massive loss of human lives and properties. All these developments have raised opposition against Museveni and his regime throughout the country, defeating him in the 2016 elections which many believe he stole with the support of the electoral commission and the supreme Court. Those in the opposition at home and abroad have declared defiance against Museveni’s authoritarian, sectarian and corrupt regime. Native Uganda citizens are being killed as happened in Kasese, jailed, tortured, exiled, dispossessed of their properties especially land by foreigners from neighbouring countries and beyond and increasingly by refugees and immigrants disguised as legal mobility by East Africans under the customs union arrangements. The demographic composition is changing and soon outsiders may exceed in numbers the native population that is being coerced into adopting birth control that the authorities prefer to call family planning as if the latter will not reduce population size of families and the nation. The current land bill before parliament is feared that if it goes through native Ugandans will become landless, rootless, powerless and voiceless and a potential political threat to peace and security in Uganda and beyond. Museveni’s plans to change the age limit is also believed that it is intended to keep Museveni in power for life. Meanwhile with military support it is feared he might abolish kingdoms, turn Uganda into an empire and declare himself the first emperor of Uganda. Bokassa declared himself the emperor of Central African Republic. He was later removed by force because of his brutality towards his people including school children. During his campaign for president of the United States of America, Mr. Donald Trump (now President Donald Trump) declared at least twice that should he become president he will remove Museveni from power. 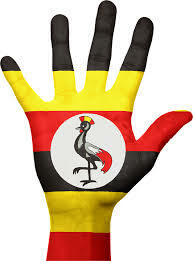 The people of Uganda are anxiously waiting for that moment.